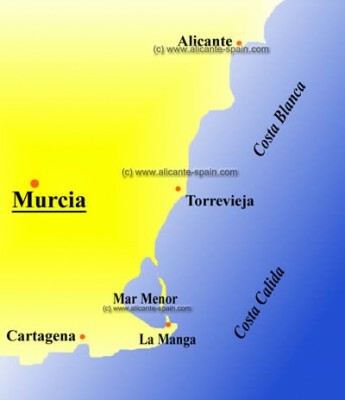 The Costa Calida coastline is in the province of Murcia and this area includes some exclusive holiday resorts. 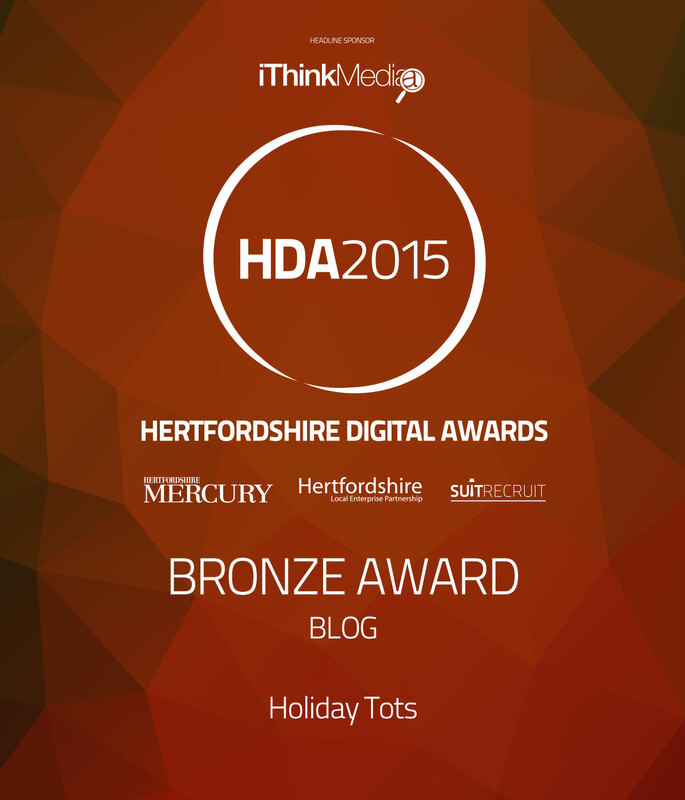 It appeals to those families looking for a tranquil and Mediterranean holiday. The area boasts a micro climate with mild winters and warm summers. The region has the greatest natural lake of Spain: the Mar Menor (Small Sea) lagoon. It is a salt water lagoon, adjacent to the Mediterranean Sea. The calm clear waters are perfect for family holidays with toddlers. We have just visited the region (October 2013) and the weather was fabulous! you can read about our stay here. 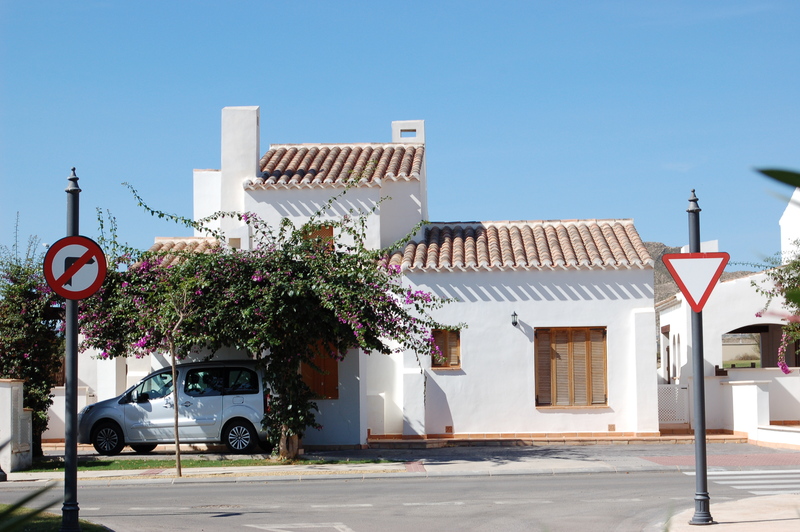 Below are a couple of lovely child-friendly villas from 2 bedrooms sleeping 4 to 3 bedrooms sleeping 6/7 that we think are worth considering for your next family holiday in the Murcia region. 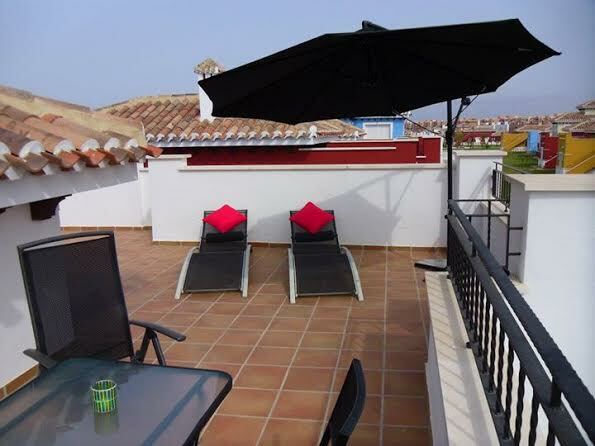 This lovely villa is situated on the Mar Menor resort in the Murcia region of Spain. We didn’t stay here but visited while we were on holiday. The villa is ideal for a family of four. 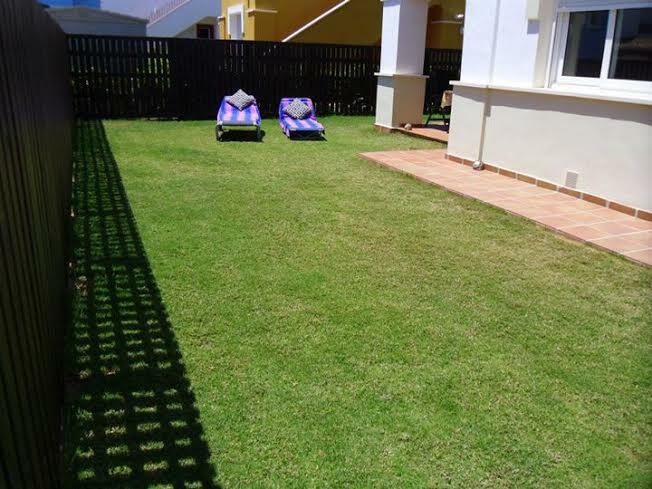 It has a an enclosed garden with a nice small lawn, so ideal for toddlers, and a roof terrace. The villa is clean and the owner Jemma really takes pride in her family friendly holiday home. The villa is on one level and there are two bedrooms, an ensuite bathroom with bath, shower and WC and a shower room with shower and WC. 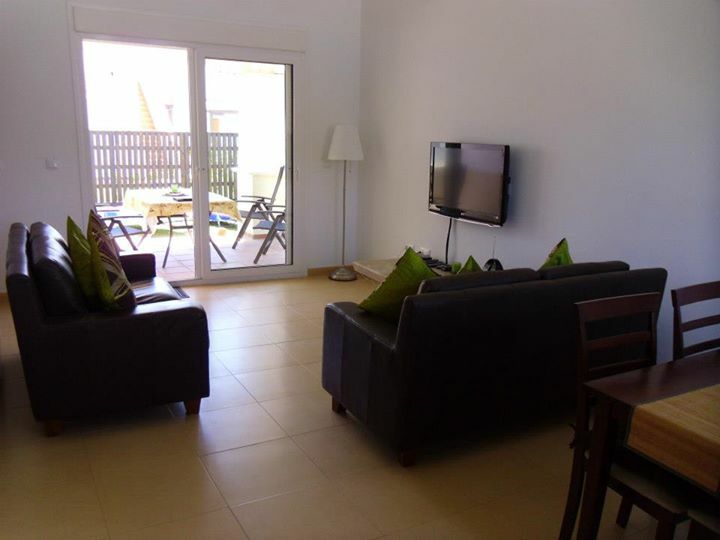 The front room has settee, TV and dining table and the lovely kitchen has a serving opening to the dining area. Jemma and her family live in the UK and this villa is a holiday home for them so you are sure to find a home from home welcome. The Mar Menor Golf resort has plenty to keep both children and adults entertained including child-friendly swimming pools, clubs and restaurants and the villa is in a fabulous location to explore the Murcia region. 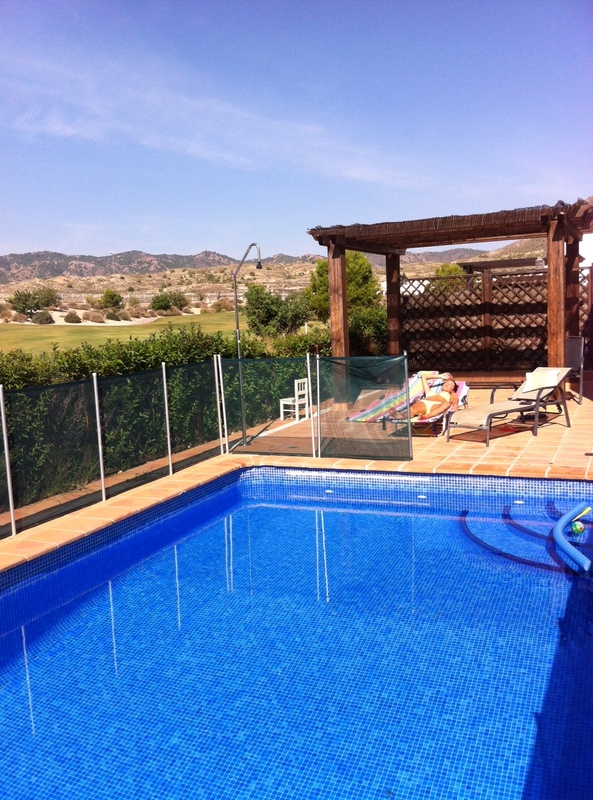 Lovely three bedroom child-friendly holiday villa in the El Valle Golf resort in Spain. This villa is ideal for families wanting peace and quiet with a view to visiting the various areas of the Costa Calida. 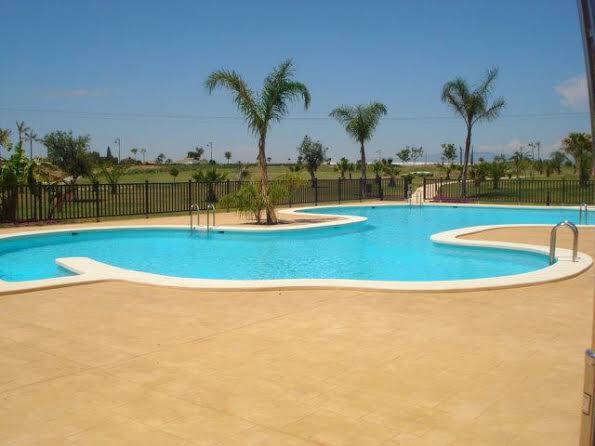 It lies about 20 minutes from Murcia and the nearest airports are San Javier (20 mins) Alicante (1 hr). The villa has 2 bathrooms, one being an en-suite, private pool, fully fenced, is fully enclosed and has views of the fifth hole of the Jack Nicklaus golf course. There is a good selection of toddler and baby toys, plus a pushchair, high chair, bouncy chair, car seat, wooden cot, baby bath and more to make your stay an easy one!